The main choice I had to make for the second course was tagine vs. couscous. While I quite enjoy a good couscous — and let's face it, a major holiday is the only time I'll ever make couscous from scratch — I really wanted to try some bread recipes, so bread and tagine it was. Particularly, I wanted to try some of the semolina breads from Paula Wolfert's The Food of Morocco. Pictured above is the "tagine bread" from her cookbook. 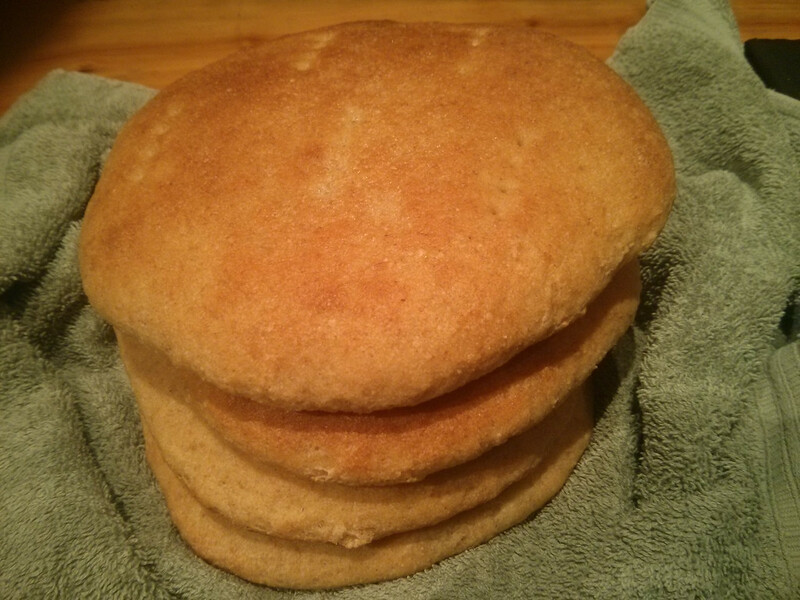 I'm not sure it quite worked out; the bread was a bit denser and harder than I was expecting. Wolfert said that the reader could substitute coarse-ground (pasta grade) semolina for the fine semolina flour Moroccans use in the recipe, but I think maybe that didn't actually work. 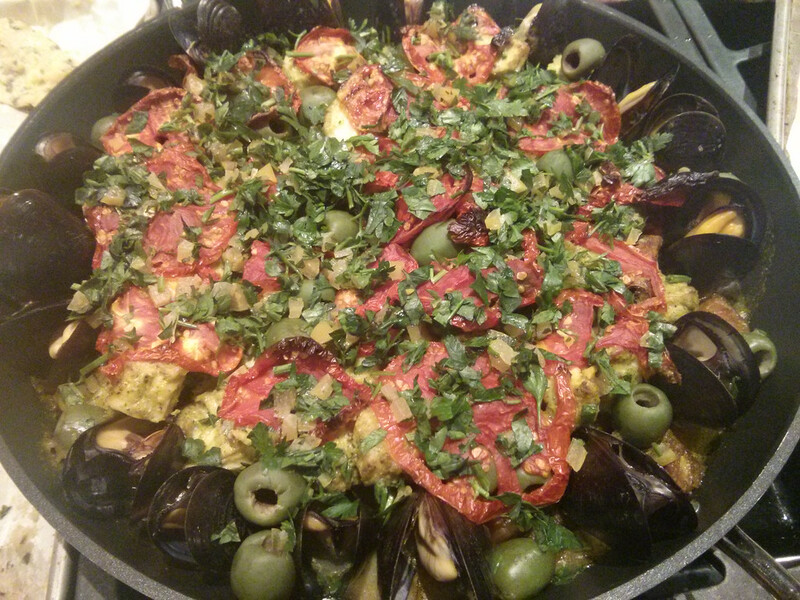 The tagine itself, namely the "fish tagine with creamy onion charmoula", worked a lot better. In order to bring in another very old Thanksgiving tradition, I added mussels to it, and swapped out winter squash (butternut) for the summer squash in the recipe. 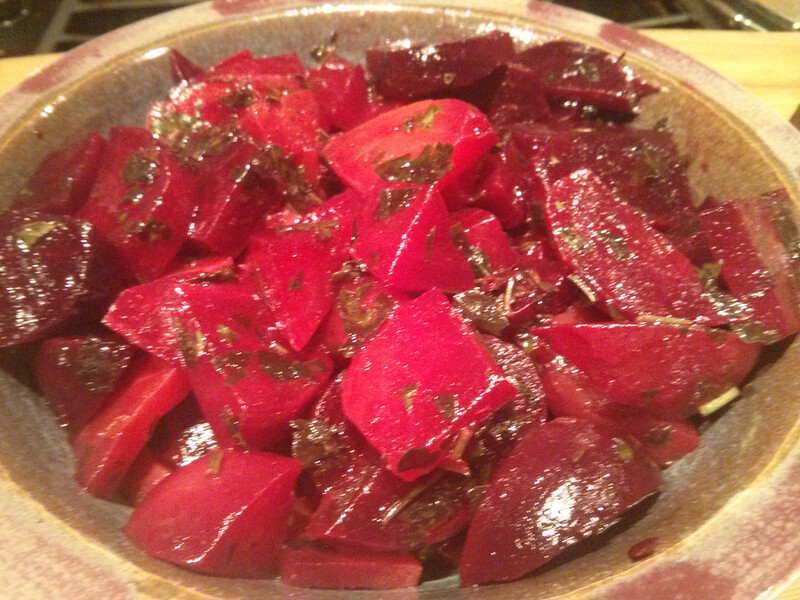 As a lighter side, I included "beet salad with cinnamon", again from Wolfert. This was another must-keep, as the cinnamon dressing just accented the beets without taking away from their essential flavor. It's displayed here in another one of my bowls from that nesting set. For dessert, we ranged a bit further afield and my sweetie made "Om Ali" a filo "bread pudding" from a Nigella Lawson recipe. But hey, Egypt is in North Africa too, right? Kinda? Anyway, to Thanksgiving it up, she swapped the apricots and raisins normally in the recipe with dried cranberries. 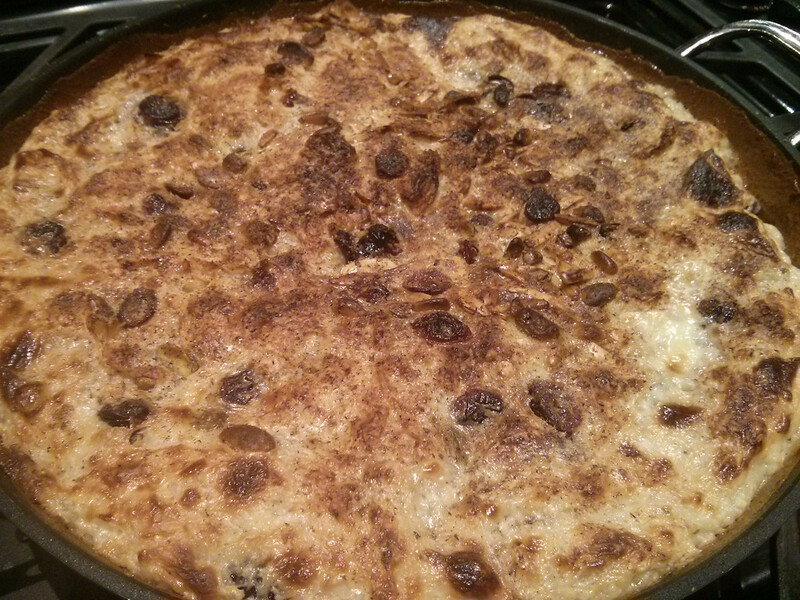 This was brilliant, more like a rich, light noodle kugel than a pudding made with filo. So another successful Thanksgiving with no turkey ... and that's something to be truly thankful for! I know the turkeys are.